Edmond Charles Genêt served as French minister to the United States from 1793 to 1794. His activities in that capacity embroiled the United States and France in a diplomatic crisis, as the United States Government attempted to remain neutral in the conflict between Great Britain and Revolutionary France. The controversy was ultimately resolved by Genêt’s recall from his position. As a result of the Citizen Genêt affair, the United States established a set of procedures governing neutrality. American foreign policy in the 1790s was dominated by the events surrounding the French Revolution. Following the overthrow of the monarchy in 1792, the revolutionary French Government clashed with the monarchies of Spain and Great Britain. French policymakers needed the United States to help defend France’s colonies in the Caribbean – either as a neutral supplier or as a military ally, and so they dispatched Edmond Charles Genêt, an experienced diplomat, as minister to the United States. The French assigned Genêt several additional duties: to obtain advance payments on debts that the U.S. owed to France, to negotiate a commercial treaty between the United States and France, and to implement portions of the 1778 Franco-American treaty which allowed attacks on British merchant shipping using ships based in American ports. Genêt’s attempt to carry out his instructions would bring him into direct conflict with the U.S. Government. The French Revolution had already reinforced political differences within President George Washington’s Cabinet. The Democratic-Republicans, led by Secretary of State Thomas Jefferson, sympathized with the French revolutionaries. The Federalists, led by Secretary of the Treasury Alexander Hamilton, believed that ties with Great Britain were more important. President Washington attempted to steer a neutral course between these two opposing views. He believed that joining Great Britain or France in war could subject the comparatively weak United States to invasion by foreign armies and have disastrous economic consequences. President Washington issued a proclamation of neutrality on April 22, 1793. Genêt arrived in Charleston, South Carolina on April 8, 1793—calling himself “Citizen Genêt” to emphasize his pro-revolutionary stance. Genêt immediately began to issue privateering commissions upon his arrival in Charleston, with the consent of South Carolina governor William Moultrie. These commissions authorized the bearers, regardless of their country of origin, to seize British merchant ships and their cargo for personal profit, with the approval and protection of the French Government. When Genêt arrived in the U.S. capital of Philadelphia in May to present his credentials, Secretary of State Thomas Jefferson informed him that the United States Cabinet considered the outfitting of French privateers in American ports to be a violation of the U.S. policy of neutrality. Genêt’s mission ran into further difficulties when the U.S. Government expressed no interest in a new commercial treaty, as it already enjoyed favorable trading privileges in French ports. The U.S. Cabinet also refused to make advance payments on U.S. debts to the French government. Genêt ignored American warnings and allowed the outfitting of another French privateer, the Little Democrat. Defying numerous warnings from U.S. officials to detain the ship in port, Genêt continued to ready the ship to sail. Genêt also threatened to take his case to the American people, bypassing official government opposition. Genêt failed to realize that Washington and his neutrality policy were politically popular, and that his pro-British enemies would depict such an attempt as foreign meddling in American domestic affairs. Washington’s Cabinet met to consider a response to Genêt’s defiant actions. All members agreed to request Genêt’s recall, but were divided as to how to go about doing so. Before the Cabinet reached a decision, Genêt allowed the Little Democrat to sail and begin attacking British shipping. This direct violation of neutrality forced the U.S. Government to take more prompt action and request that the French government recall Genêt. 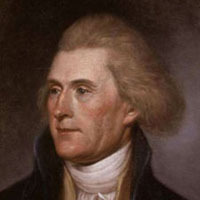 However, Secretary of State Jefferson stopped short of expelling Genet from the United States, as Hamilton had wished. By the time Jefferson’s request for recall reached France, power had shifted from the more moderate Girondins, who had originally sent Genêt on his mission, to the radical Jacobins. French policy began to emphasize friendlier relations with neutral countries who could provide crucially needed food supplies. French officials were already dissatisfied with Genêt’s failure to fulfill his diplomatic mission, and the Jacobins suspected him of continued loyalty to the Girondins. 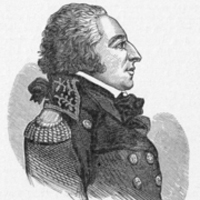 The French government recalled Genêt, and demanded that the U.S. hand him over to the commissioners sent to replace him. President Washington and Attorney General Edmund Randolph, aware that Genêt’s return to France would almost certainly result in his execution, allowed Genêt to remain in the United States. U.S. and French diplomatic goals favored friendly neutrality, and the Genêt affair came to an end. Genêt himself continued to reside in the United States until his death in 1834. The Genêt affair forced the United States to formulate a consistent policy on the issue of neutrality. Washington’s Cabinet signed a set of rules regarding policies of neutrality on August 3, 1793, and these rules were formalized when Congress passed a neutrality bill on June 4, 1794. This legislation formed the basis for neutrality policy throughout the nineteenth century.